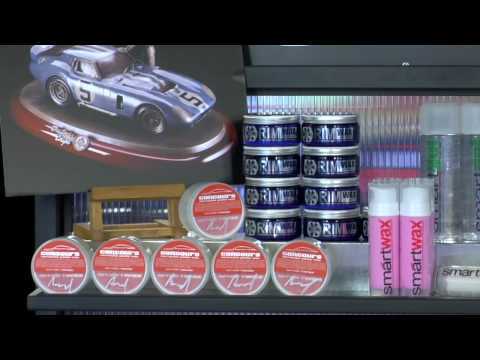 Smartwax Concours carnauba paste wax is a hand crafted paste wax that is blending of the finest imported raw ingredients in an air tight blending and pouring facility to assure the purest and finest grade paste wax worthy of being called Concours. Rare Brazilian Carnauba, free of any added color or fragrance is blended with some of the finest, most refined protective agents and coconut, sunflower and propolis oils to produce a hand crafted paste wax that is as pure and refined as possible. Suitable for all paint types and colors. Engineered to deliver unmatched wetness and depth. Smartwaxs’ revolutionary patented bonding agents assure proper bonding on contact. Waiting long periods of time between product applications is no longer necessary. Some product lines still rely on old technology that needs a specific temperature, climate, or period of time to bond correctly to surfaces. Smartwax engineered every product from scratch from the highest quality raw chemicals utilizing the latest in technology to assure the most advanced easy to use product that would deliver superior results in less time.